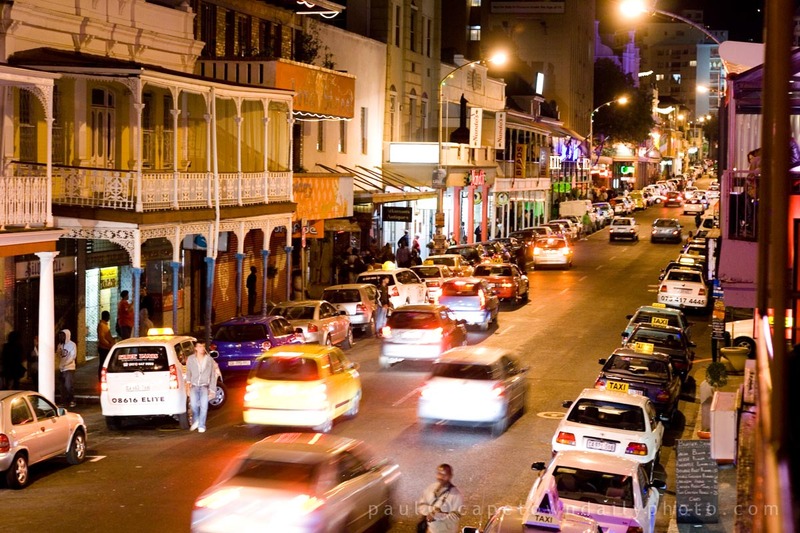 Long Street is an amazing place at night. It's lined with restaurants and bars and has loads of people streaming up and down all night long. Long is a one-way, with it's parallel neighbour, Loop, running in the opposite direction. This particular section is near the top of the road - where it's pretty safe to walk around at night. The middle, or bottom is a lot quieter and not necessarily quite as safe, and I guess is a place that I'd only really walk around during the day. Posted in General on Sunday, 28 March, 2010 by Paul. I was having lunch at a small restaurant across from Mama Africa one day and as I bit into a sandwich and looked out the large windows facing the sidewalk, I saw a naked man walking down the street. Not so much the birthday suit is what startled me, rather the nonchalance he carried. Love Long St. And Loop too. Congratulations Paul, you really captured the spirit of Long Street! One of my favourtie photos and places in Cape Town.